Dating techniques are procedures used by scientists to determine the age of an object or a series of events. The two main types of dating methods are relative and absolute. Relative dating methods are used to determine only if one sample is older or younger than another. Absolute dating methods are used to determine an actual date in years for the age of an object. Before the advent of absolute dating methods in the twentieth century, nearly all dating was relative. The main relative dating method is stratigraphy (pronounced stra-TI-gra-fee), which is the study of layers of rocks or the objects embedded within those layers. This method is based on the assumption (which nearly always holds true) that deeper layers of rock were deposited earlier in Earth's history, and thus are older than more shallow layers. The successive layers of rock represent successive intervals of time. Since certain species of animals existed on Earth at specific times in history, the fossils or remains of such animals embedded within those successive layers of rock also help scientists determine the age of the layers. Similarly, pollen grains released by seed-bearing plants became fossilized in rock layers. If a certain kind of pollen is found in an archaeological site, scientists can check when the plant that produced that pollen lived to determine the relative age of the site. Absolute dating methods are carried out in a laboratory. Absolute dates must agree with dates from other relative methods in order to be valid. The most widely used and accepted form of absolute dating is radioactive decay dating. Radioactive decay dating. Radioactive decay refers to the process in which a radioactive form of an element is converted into a nonradioactive product at a regular rate. The nucleus of every radioactive element (such as radium and uranium) spontaneously disintegrates over time, transforming itself into the nucleus of an atom of a different element. In the process of disintegration, the atom gives off radiation (energy emitted in the form of waves). Hence the term radioactive decay. Each element decays at its own rate, unaffected by external physical conditions. By measuring the amount of original and transformed atoms in an object, scientists can determine the age of that object. Cosmic rays: Invisible, high-energy particles that constantly bombard Earth from all directions in space. Dendrochronology: Also known as tree-ring dating, the science concerned with determining the age of trees by examining their growth rings. Half-life: Measurement of the time it takes for one-half of a radioactive substance to decay. Radioactive decay: The predictable manner in which a population of atoms of a radioactive element spontaneously disintegrate over time. Stratigraphy: Study of layers of rocks or the objects embedded within those layers. The age of the remains of plants, animals, and other organic material can be determined by measuring the amount of carbon-14 contained in that material. Carbon-14, a radioactive form of the element carbon, is created in the atmosphere by cosmic rays (invisible, high-energy particles that constantly bombard Earth from all directions in space). When carbon-14 falls to Earth, it is absorbed by plants. These plants are eaten by animals who, in turn, are eaten by even larger animals. Eventually, the entire ecosystem (community of plants and animals) of the planet, including humans, is filled with a concentration of carbon-14. As long as an organism is alive, the supply of carbon-14 is replenished. When the organism dies, the supply stops, and the carbon-14 contained in the organism begins to spontaneously decay into nitrogen-14. The time it takes for one-half of the carbon-14 to decay (a period called a half-life) is 5,730 years. By measuring the amount of carbon-14 remaining, scientists can pinpoint the exact date of the organism's death. The range of conventional radiocarbon dating is 30,000 to 40,000 years. With sensitive instrumentation, this range can be extended to 70,000 years. In addition to the radiocarbon dating technique, scientists have developed other dating methods based on the transformation of one element into another. These include the uranium-thorium method, the potassium-argon method, and the rubidium-strontium method. Thermoluminescence. Thermoluminescence (pronounced ther-moeloo-mi-NES-ence) dating is very useful for determining the age of pottery. When a piece of pottery is heated in a laboratory at temperatures more than 930°F (500°C), electrons from quartz and other minerals in the pottery clay emit light. The older the pottery, the brighter the light that will be emitted. Using thermoluminescence, pottery pieces as old as 100,000 years can be dated with precision. Tree-ring dating. Known as dendrochronology (pronounced den-dro-crow-NOL-o-gee), tree-ring dating is based on the fact that trees produce one growth ring each year. Narrow rings grow in cold or dry years, and wide rings grow in warm or wet years. The rings form a distinctive pattern, which is the same for all members in a given species and geographical area. Thus, the growth pattern of a tree of a known age can be used as a standard to determine the age of similar trees. The ages of buildings and archaeological sites can also be determined by examining the ring patterns of the trees used in their construction. 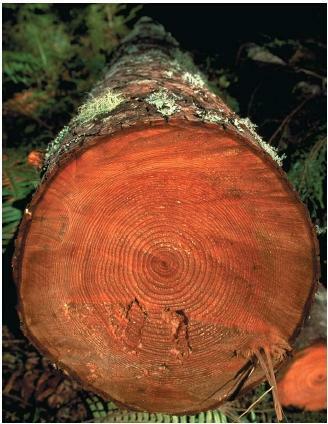 Dendrochronology has a range of 1 to 10,000 years or more. Thanks a lot!!! It Really helped me with my Homework!!!!! I LOVE THE ARTICLE, I HOWEVER WISH IT GAVE MORE DETAIL ON RADIOACTIVE DECAY. HOW DOES IT REALLY HAPPEN. THANK YOU ANYWAY. AWESOME! Great info! Tells me everything i need to know. It clears up foggy concepts, and gives great examples. Good Job! This information gives a general clear idea. A great way to start and understand the concepts. It was very helpful. This is what I need & looking for. Thanks a lot!!.. It will be very helpful for my coming exam.. Excellent. You've made my day look great.l have been doing a lot of research on dating techniques and within a short while am relieved. Thanks. What are some advantages and disadvantages of dating methods?